Federal Bank, a leading private sector bank in India, partners with MatchMove India Pvt Ltd to digitise rollout of employee reward systems. 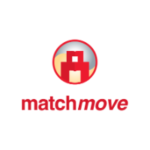 MatchMove Partner Card Program will help in replacing the existing systems prevailing in various companies for fringe benefits including rewards and loyalty schemes to employees. The system is intended to make an end-to-end digitisation of the issue and management of the various work-life benefits including service and facility vouchers. According to the Digital Payments 2020 report by BCG and Google, India now represents one of the largest opportunities for payments. With a population of over 1.25 billion eager to partake in rapidly evolving advancements in technology, India is poised to make the most of digital developments transforming the payments space. “Federal Bank has always been in the forefront in promoting cashless transactions and digital payments through card transactions. We are adopting various initiatives towards innovating and digitising payments. This partnership with Matchmove will be another milestone in Federal Bank’s journey towards smart payments”. “Digitization of payments presents a large opportunity in the Indian context. 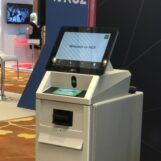 It is estimated that the total payments conducted via digital payment instruments will be upward of $500 billion by 2020. The MatchMove India and Federal Bank partnership will go a long way in promoting digital payments among people and bring us one step closer in our mission to help make India a cashless society”.